Second green revolution knocks at the door. The knock of Second green revolution is from Bihar state. Like Chief Minister, Nitish Kumar, a famous personality in politics from Nalanda district of Bihar, one more personality named Nitish Kumar, a farmer has emerged as Agriculture personality from Nalanda district of Bihar. Second green revolution is initiated by Nitish Kumar, the farmers from Nalanda .He belongs to Village Darveshpura of Nalanda district. 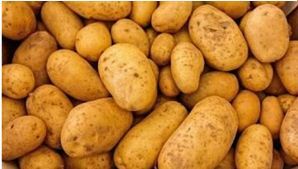 He has harvested a world record of Potato production with 72.9 tonnes potato tuber crossing the previous world record of Potato production of 45 tonne/ha by the Netherland farmer. Second green revolution is on way by the dedication and help of Kumar Kishore Nanda, a soil scientist. He played a vital role in this success. The Organic method of farming was adopted for the success. That’s an example of significance of Organic method of farming. Organic method of farming has indeed proved its superiority over other methods of farming. The vegetable production statistics says “Bihar is the 3rd largest potato growing state in Bihar and Nalanda district is the leading Potato production district in Bihar”. Second green revolution looks more realistic with one more recent news from the Village Darveshpura of Nalanda district .A farmer, Sumant Kumar, recently was in news for world record in rice production with 22.4 ton/ha using SRI method (System of Rice Intensification) beating the previous world record in rice production by Yuan Long Ping of China with 19 ton/ha.